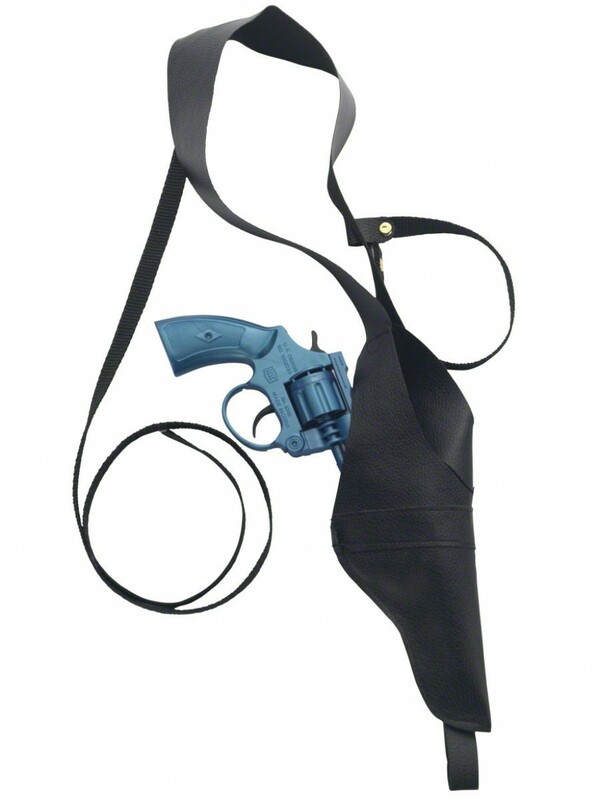 A toy Gun and Holster Fancy dress set – perfect for ‘Cops and Robbers’, Gangster or just a great ‘Bad Boy’ accessory! A toy Gun and Holster set. The toy gun is blue with firing and sound action – to create some authentic fun ‘friendly fire’! The gun sits inside a black leather effect holster – which sits over one shoulder and fastens around the chest with a strap (adjustable buckle fastening). A fun accessory for a ‘Cops and Robbers’ theme, a Gangster or any costume where some extra weaponry is required!